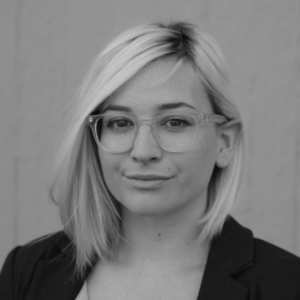 Ministry of Hemp talked with Culture Trip’s U.S. Editor, Jillian Anthony, during SXSW 2019! Plus Restart CBD and Dawn Evans of Synergy Skincare & Spa paired up to give SXSW attendees a relaxing CBD facial. 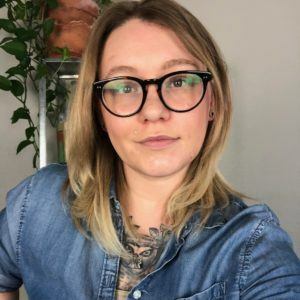 Ministry of Hemp got CBD facials and talked with Culture Trip‘s U.S. Editor, Jillian Anthony, during SXSW 2019! Restart CBD and Dawn Evans of Synergy Skincare & Spa paired up to give SXSW attendees a relaxing & restorative CBD facial. 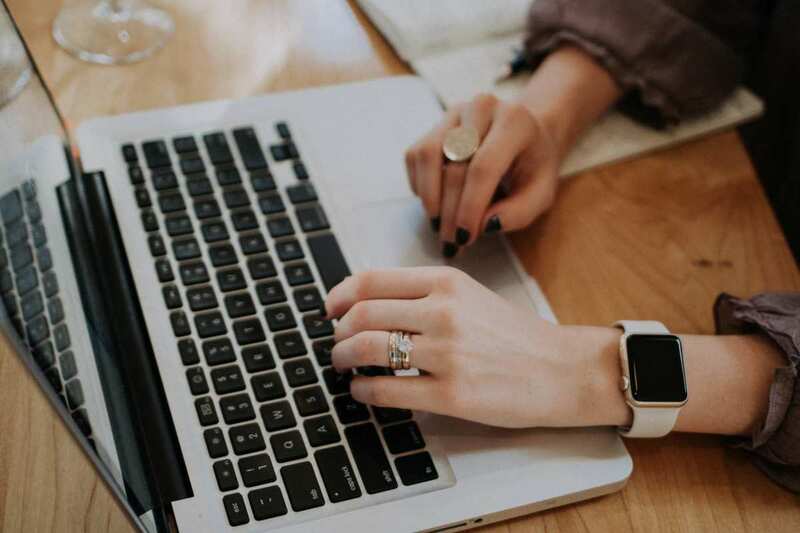 Both are women-owned businesses in Austin, Texas. cbdMD CBD Bath Bombs combine high-grade organic cannabidiol and soothing aromas to create a most relaxing experience. cbdMD only uses top-quality ingredients, including Kentucky-grown hemp, adding peace-of-mind to your bath. cbdMD CBD Bath Bombs combine high-grade organic cannabidiol and soothing aromas to create a most relaxing experience. cbdMD only uses top-quality ingredients, including Kentucky-grown hemp, adding peace-of-mind to your bath. Though smaller than traditional bath bombs, they make up for it with potent CBD oil and relaxing scents. These bath bombs are packed with high-quality organic CBD, allowing for rapid relaxation within minutes. These CBD bath bombs dissolve quickly in warm bath water. The aromas present mildly and don’t come on too strong. The smell permeates the water and surrounding air leaving skin slightly scented even hours after the bath. They also make the bath water lightly colored (depending on which bath bomb you chose). Since they have no artificial dyes or preservatives, cbdMD CBD bath bombs won’t stain your tub. These bath bombs use all-natural and safe coloring and aromas, allowing for a relaxing experience overall. Our reviewer first tried cbdMD’s Relax CBD bath bomb, and it instantly lived up to its name. 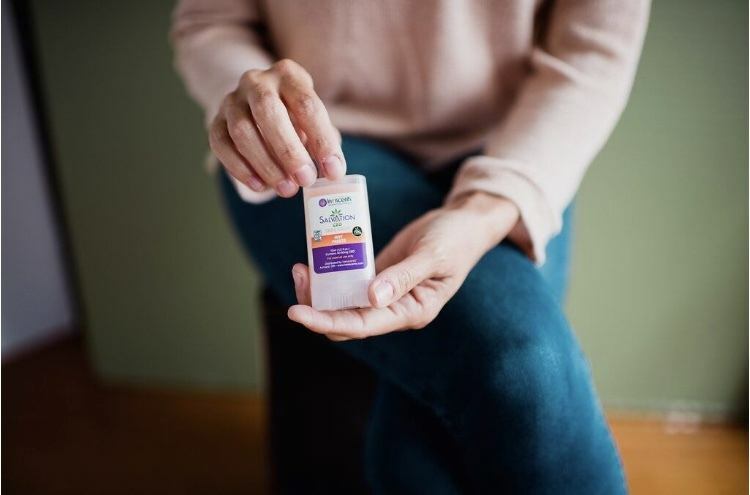 Packed with 100mg of organic full-spectrum hemp extract and infused with 100 percent pure therapeutic-grade lavender essential oils, it was easy for the day’s stress to melt away. CBD Bath Bombs helped our reviewer relax with 100mg of potent cannabidiol. cbdMD paid us a fee and offered us free products in return for our honest opinion. If you purchase a product from one of these links, we’ll receive a percentage of sales. Read our full disclosure statement. With up to six different varieties of CBD bath bombsm cbdMd offers many different aromas and routes to guide you towards ultimate relaxation. Read on for our full review. We were impressed, overall, with the quality and variety of this product. Coming in six different varieties (Resist, Romance, Rise, Restore, Rejuvenate, and Relax) we couldn’t wait to try more. cbdMD’s packaging is professional and lux. Each signature bath bomb arrives in its own box with clear labelling of both potency (100mg per bath bomb) and aroma (lavender, eucalpytus, frankincense, or blend). 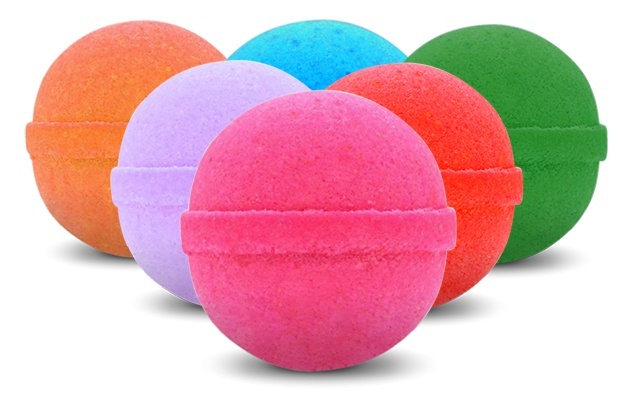 We thought bath bombs alone were a treat, but that was before we found these. The premium CBD in each bath bomb allows for maximum relaxation through this luxury experience. These CBD bath bombs are well worth their price due to their high-grade, high-quality CBD. They’re even more of a steal when you consider their packs of 3 or 6 which reduce the price to $6-$8 per bath bomb. Highlights: cbdMD CBD Bath Bombs smell amazing while delivering high-grade USDA organic cbd oil via a soothing bath. Customer Service & Shipping: Excellent customer service. Free & fast shipping on all orders in the U.S.
Scents: Lavender, eucalyptus, frankincense, or blends. Ingredients: CBD Oil / Full Spectrum Hemp Extract plus Baking soda, Citric acid, Epsom salt, Distilled water, Essential oils and Fragrances, & Food Coloring. Other: A 30-day money back guarantee is available for unsatisfied customers. cbdMD uses hemp grown in Kentucky under a rigorous testing and quality-control process. We think these CBD bath bombs would be ideal for anyone searching for a quick way to destress from their day in a luxurious and soothing way. cbdMD makes one of our favorite brands of CBD capsules, plus gummies, topicals, and products for animals. Thanks to these hemp Black Friday deals, it’s never been easier to try hemp or share hemp with a loved one. Ministry of Hemp found great offers from 9 of our favorite hemp brands. Thanks to these hemp Black Friday deals, it’s never been easier to try hemp or share hemp with a loved one. While countless people use CBD, the beneficial supplement made from industrial hemp, that’s only just the beginning of what hemp can do. Every part of the hemp plant is beneficial in some way. Hemp can become paper, food products, even hemp plastic containers and hempcrete homes. While the future is going to bring amazing innovation to hemp technology, humans have been feeding, healing, and clothing themselves with hemp for centuries. With hemp returning to America at a massive scale, there’s never been a better time to add our favorite plant to your life. Whether you’re a long time fan or new to the benefits of hemp, you’ll want to take advantage of these Black Friday hemp deals. Ministry of Hemp reached out to our favorite brands to bring you great offers and exclusive coupons to get you started on your holiday shopping. Not only that, but these hemp brands can keep you and your family stylish, well fed, and relaxed all through the winter. Our Black Friday Hemp Guide features deals from 7 of Ministry of Hemp’s favorite hemp brands. This Hemp Black Friday Guide is a companion to our 2018 CBD Black Friday deals guide, which we published yesterday. Below, you’ll find special offers from 7 of our favorite hemp brands. We’ve included everything you need to take advantage of these Black Friday hemp deals. What’s the deal? Get 50% off WAMA underwear during Black Friday weekend and Cyber Monday! Do I need a coupon code? No. Discount is automatically applied at checkout. When is this deal available? This deal is available from Black Friday (November 23, 2018) through Cyber Monday (November 26, 2018). WAMA are a successful Kickstarter product and it’s easy to see why. Their hemp undies are soft, comfortable to wear and durable, and a favorite pair of our editor. What’s the deal? 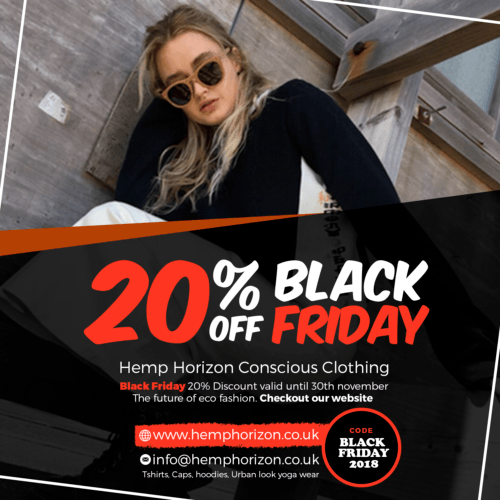 Get 20% off all Hemp Horizon products from Black Friday through the end of the month! Do I need a coupon code? Use coupon code BLACK FRIDAY 2018 at checkout. When is this deal available? This deal is available from Black Friday (November 23, 2018) through November 30, 2018. Hemp Horizon makes beautiful and stylish “conscious clothing” from hemp and blended hemp fabrics. We love how they’re expanding what’s possible in women’s hemp fashion. What’s the deal? 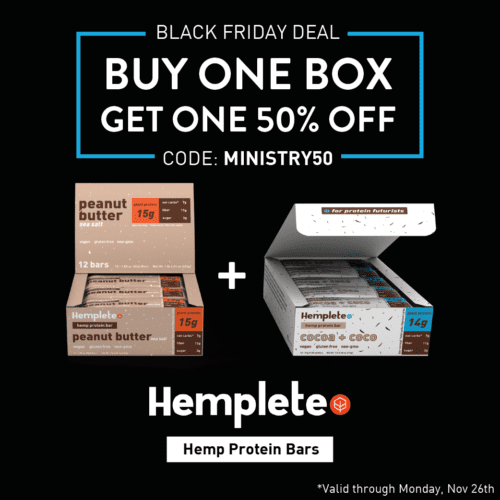 But one box of Hemplete Hemp Protein Bars and get a second box for 50% off! Do I need a coupon code? Use coupon code MINISTRY50 at checkout. Hemplete Hemp Nutrition Bars are vegan, gluten-free, made from non-GMO ingredients and without added flavoring. Most importantly, they’re delicious: our editor ate one of their peanut butter bars for breakfast while working on this article. What’s the deal? Get 15% off all iLoveBAD Organics products during Black Friday weekend! Do I need a coupon code? Use coupon code MOHOLIDAY15 at checkout. When is this deal available? This deal is available from Black Friday (November 23, 2018) through the following Sunday (November 25, 2018). iLoveBad Organics also make an incredibly comfortable pair of underwear our editor loves. 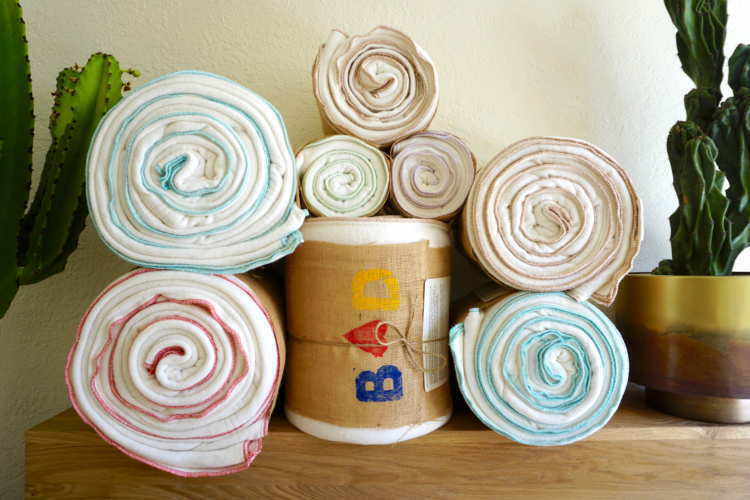 They also make wonderful warm hemp socks, hemp t-shirts, and life-changing hemp blankets. What’s the deal? 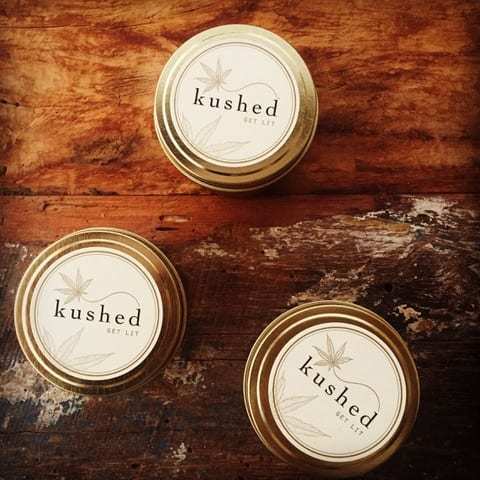 Get 20% off all Kushed Candles products during Black Friday weekend and Cyber Monday! Do I need a coupon code? Use coupon code ELF18 at checkout. What’s the deal? Get 15% off all Hippie Butter products from Black Friday and throughout the holiday season! Do I need a coupon code? Use coupon code MH15 at checkout. When is this deal available? This deal is available from Black Friday (November 23, 2018) until December 25, 2018. Hippie Butter is best known for their delicious hemp seed butter, but their full product line includes so much more. 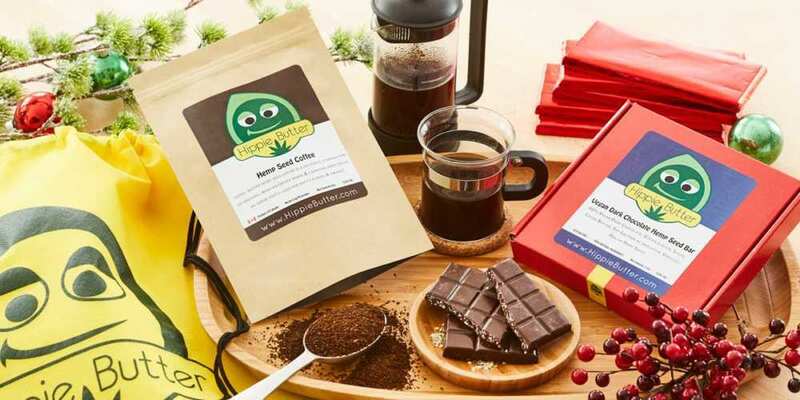 They offer a wide range of “honest & healthy food” from hemp seed chocolate to hemp seed coffee and even hemp oil soaps and skincare products. What’s the deal? Get 12% off all Vital Hemp products from Black Friday and throughout the holiday season! Do I need a coupon code? Use coupon code VITALHOLIDAY18 at checkout. When is this deal available? This deal is available from Black Friday (November 23, 2018) until December 24, 2018. Vital Hemp makes soft and luxurious hemp clothing for both men and women. We loved checking out their products at this year’s Hemp Industries Association conference. You can even use this coupon code at their retail store in Santa Monica, California. What’s the deal? 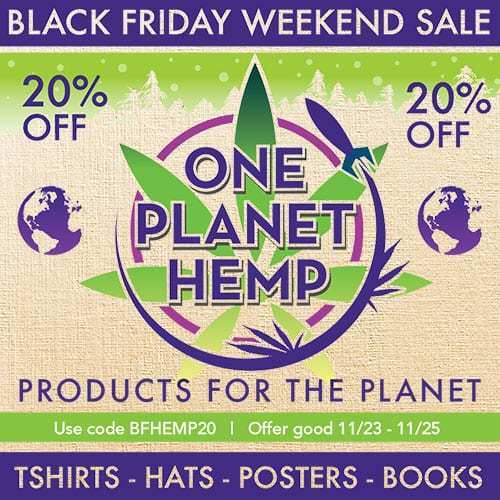 Get 20% off all One Planet Hemp products during Black Friday weekend! Do I need a coupon code? Use coupon code BFHEMP20 at checkout. One Planet Hemp offers hemp apparel, along with posters and educational materials promoting hemp and a healthy planet. What’s the deal? 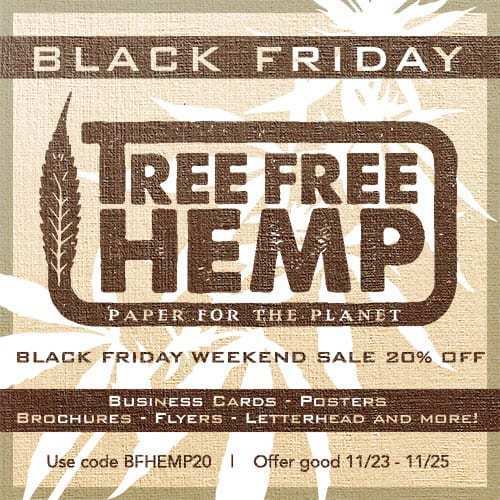 Get 20% off all Tree Free Hemp products during Black Friday weekend! Tree Free Hemp is a custom hemp printing service. Our Ministry of Hemp business cards are printed on hemp paper by Tree Free Hemp, and they always get complements when we hand them out. We wanted to give a special mention to another of our favorite hemp brands: Dr. Bronner’s! Dr. B is not just a great example of the power of hemp, but also an incredible leader in renewable energy and other sustainable business practices. Give Dr. Bronner’s a visit on Cyber Monday for a 20% discount on all their products. Topical CBD is a great choice whether you’re dealing with chronic pain or just the aches and stiffness of everyday life. 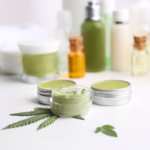 CBD is also an increasingly popular skincare ingredient. Ministry of Hemp tested almost a dozen products to bring you our reviews of the best CBD topicals for sale online. This review of the best CBD topicals is the latest in Ministry of Hemp’s product review series. Be sure to also check out our review of the Best CBD gummies. Topical CBD is a great choice whether you’re dealing with chronic pain or just the aches and stiffness of everyday life. CBD is an extract made from industrial hemp that can offer relief from pain and inflammation. 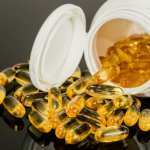 With few side effects or drawbacks, CBD is seeing tremendous popularity today. 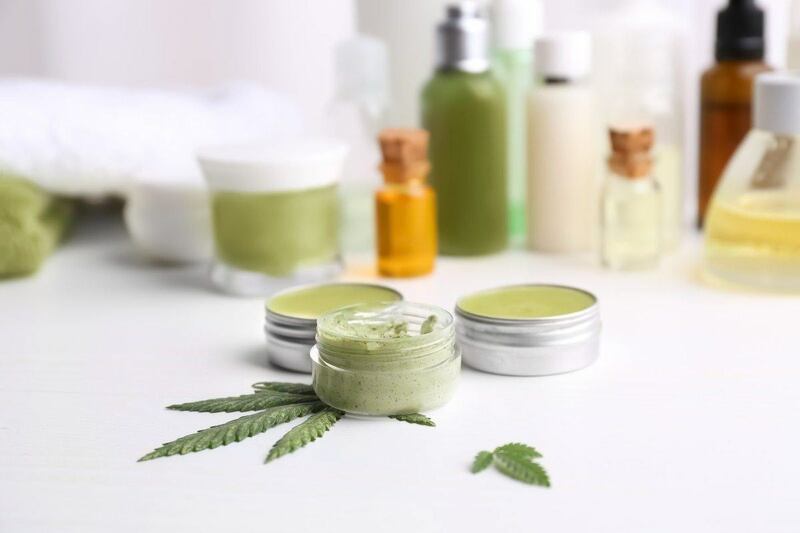 While most commonly found in a tincture or capsule, an increasing number of brands offer CBD in a salve or cream designed to be applied directly to the skin. Ministry of Hemp’s review team studied almost a dozen products to pick the best CBD topicals available online. 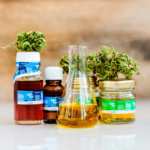 Quality matters, and there are few regulations governing the CBD industry. At Ministry of Hemp, we maintain the highest standards when it comes to CBD and hemp products. Read on to find out more about the benefits of CBD salves and creams, and to see our complete reviews of the best CBD topicals available online. The main advantage of CBD in a topical form is that it can be applied directly to whatever part of the body needs help. Topical CBD products bypass the digestive system and can immediately go to work where they’re needed. Topical CBD products bypass the digestive system to go directly to work where they’re needed most. 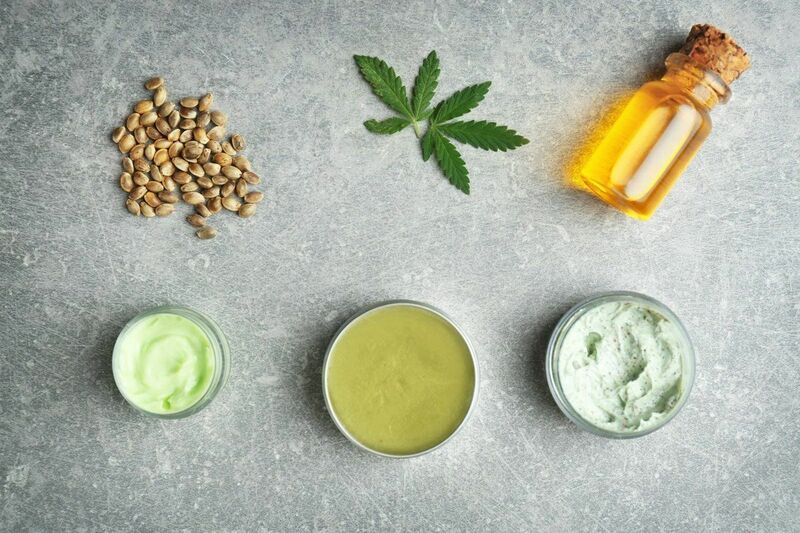 Hemp and CBD oil are also increasingly popular skin care ingredients. Thanks to its anti-inflammatory properties, CBD can reduce rashes and irritation in the skin just like it eases muscle aches and stiffness. We rated each brand on their price, strength, and the cost of shipping. We used our Editor in Chief’s address in central Texas to produce sample shipping costs for each product. Topical CBD products are available in a variety of textures, with different added scents, essential oils, and herbal ingredients. Ministry of Hemp received free products from many of these companies in return for writing this review. We may receive a percentage of sales if you buy products from some of the brands below. We only selected the best CBD topicals for inclusion in this top product roundup, and we always promise to give you our honest opinion. Highlights: Spectrum Salve 125 has cooling menthol and a smooth, slightly oily texture. Great for targeting sore muscles. 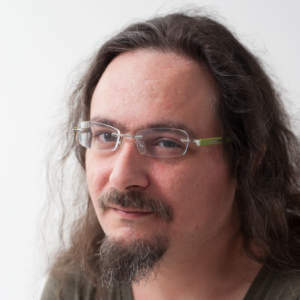 Customer Service & Shipping: Fast customer service. Free standard shipping is available, or faster options for an additional fee. Texture & Smell: This salve has a smooth, slightly oily texture from the coconut oil, cocoa butter, and shea butter. It smells of minty essential oils and the other botanical ingredients. Ananda Hemp’s salve is produced from industrial hemp grown in Kentucky. The Ananda Hemp team is closely involved with efforts to fully legalize hemp growing nationwide. Since it contains menthol and also warming ingredients, Spectrum Salve should be applied sparingly at first. 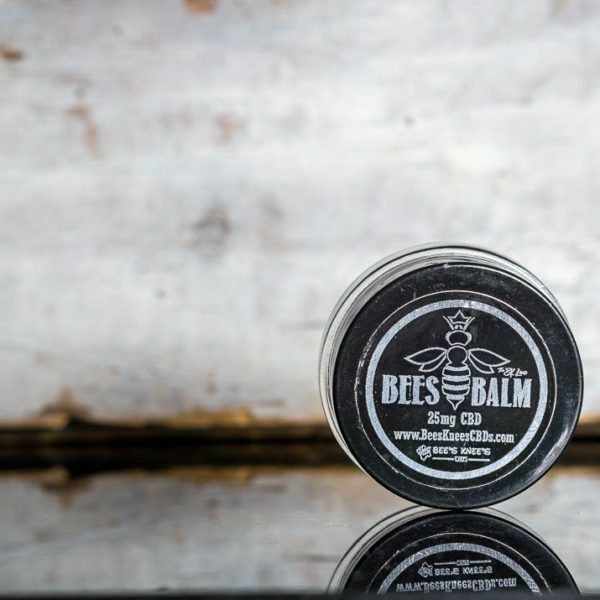 Highlights: Bee’s Balm has a thicker texture, with a pleasant mint coconut scent. Available in a convenient sample size easy to slip in a pocket or purse. Customer Service & Shipping: Fast customer service. $3.95 for First Class Shipping, with faster options available for an additional fee. Independent Test Results: Contact Bee’s Knees directly. Texture & Smell: Smells like calendula and peppermint: a little floral and a little bit minty, with faint added scent of coconut. This CBD topical has a heavier texture, with a slippery, oily feel. The sample size of is great for slipping into your pocket. It’s also an affordable way to try the product. Bee’s Balm produces a mild warming sensation. Bee’s Knees products are grown and produced on a family-owned farm in Colorado. Highlights: Skin Silk has a unique whipped texture makes Skin Silk great for skin care to target dry or irritated skin. Customer Service & Shipping: Fast customer service. Shipping starts at $3.00 for standard shipping with faster options available for an additional fee. Texture & Smell: Skin Silk has a creamy “whipped” texture that’s unique among the products we sampled. This product has a sweet, floral and fruity scent. Ingredients: Shea butter, coconut oil, sweet almond oil, hempseed oil, argan oil, jojoba oil, calendula, hemp extract oil, ylang ylang, clary sage, bergamot, geranium and jasmine. 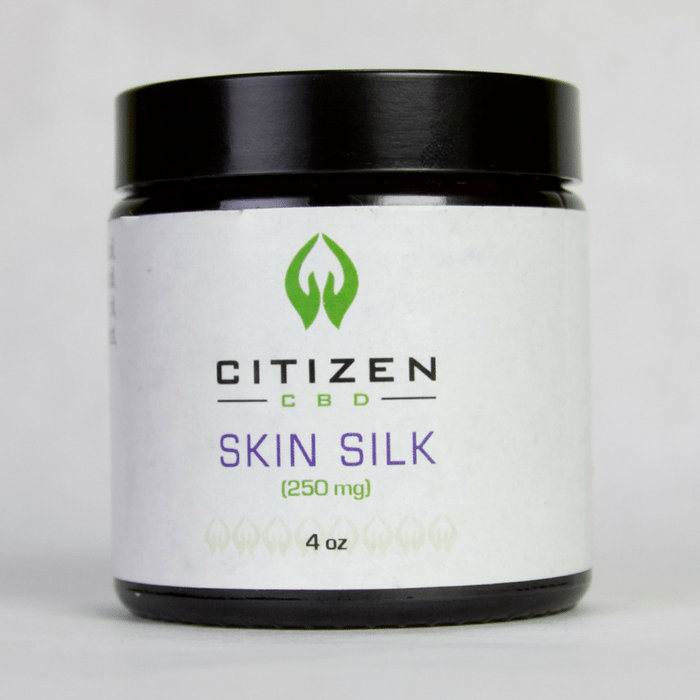 Citizen CBD’s Skin Silk, which we reviewed, is designed with skincare in mind, including treatment of dry skin, inflammation and eczema. They also offers several other topicals including a warming Athletic Rub and a Deep Tissue Rub. Citizen CBD is a veteran-owned company and a portion of proceeds go to help causes like treating PTSD. 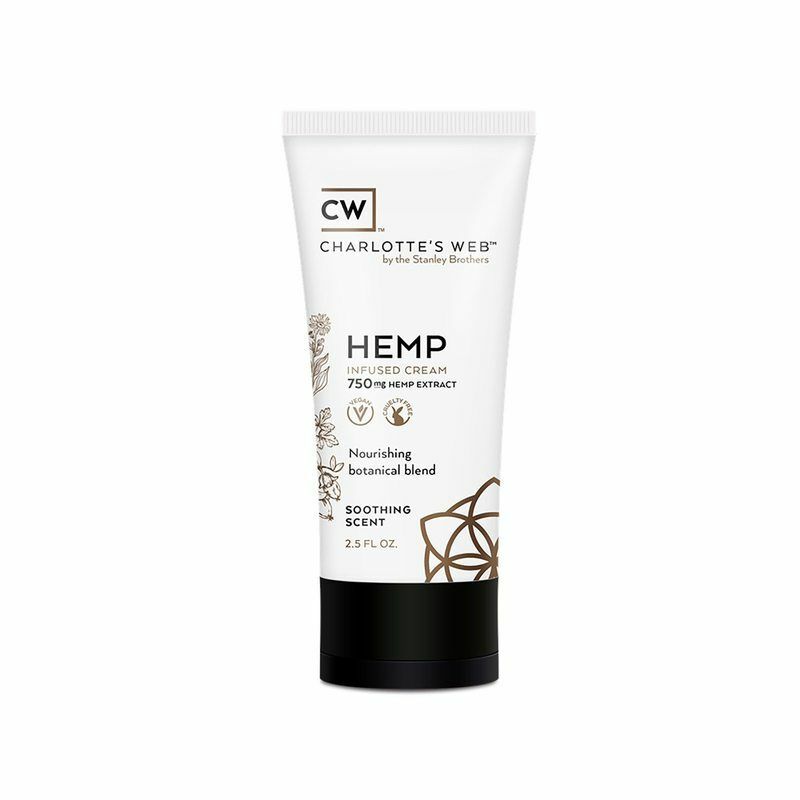 Highlights: This Unscented Hemp Infused Cream can be used anywhere & has a pleasant, lotiony feel. Perfect for anyone who prefers unscented products. Customer Service & Shipping: Fast customer service. Standard shipping starts at $8.99. Independent Test Results: Contact CW Hemp directly. Texture & Smell: This CBD topical has a soft, creamy texture that easily absorbs into the skin. There is a very faint, lotiony smell. This product is also available with a warming menthol and cinnamon scent which should be applied sparingly at first. Charlotte’s Web is a family-owned company whose products are produced in Colorado. Discounts are available if you subscribe to this product. 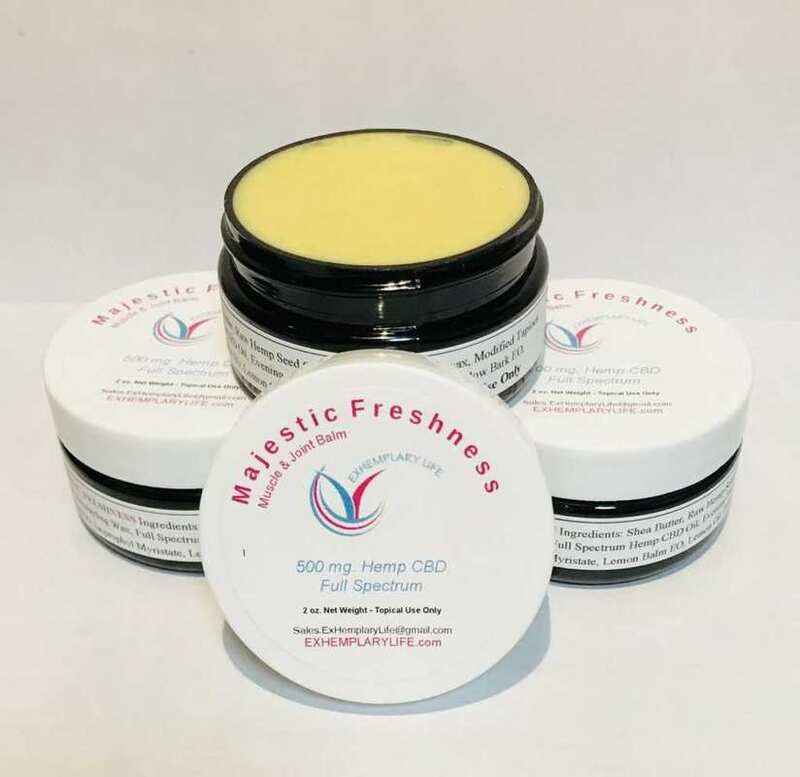 Highlights: CBD Healing Salve is very light, with a non-greasy texture that makes this salve easy to apply anytime you need relief of sore muscles or irritation. Basil, lavender & other botanical ingredients give it a unique herbal scent. Customer Service & Shipping: Fast customer service. Shipping is $7.45 for priority shipping. Independent Test Results: Contact DaCrema Botanicals directly. Texture & Smell: Beeswax, shea butter and natural oils combine to create a smooth, very light texture that is not greasy. Herbal ingredients create a pleasing botanical scent. This salve is available in both regular and extra strength varieties. 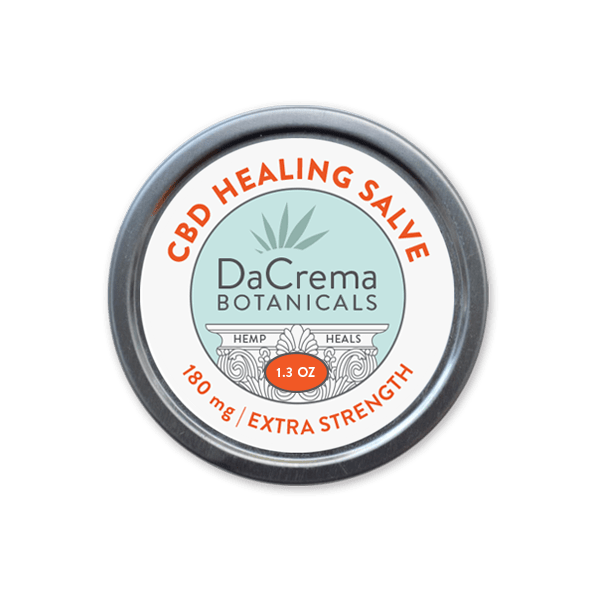 DaCrema Botanicals products are handmade in small batches using U.S.-grown organic hemp. The company was founded by a former health industry professional. Highlights: Majestic Freshness Muscle & Joint Balm is a bit more slippery and oily. It’s good for rubbing into sore muscles, without being too greasy. Strength: 125 mg full spectrum hemp/CBD extract per 0.5 oz “rub on” applicator stick, or 500 mg per 2 oz jar. Customer Service & Shipping: Fast customer service. 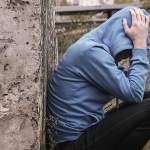 Independent Test Results: Contact ExHemplary Life directly. Texture & Smell: This balm smells of citrus and rosemary, with hints of other essential oils. Majestic Freshness has a light and slightly oily texture. ExHemplary Life makes several different CBD topicals. They also offer a wide variety of hemp products including hemp soaps. ExHemplary Life was founded by a massage therapist that discovered the benefits of CBD after a health crisis. Their products are made from Colorado hemp. 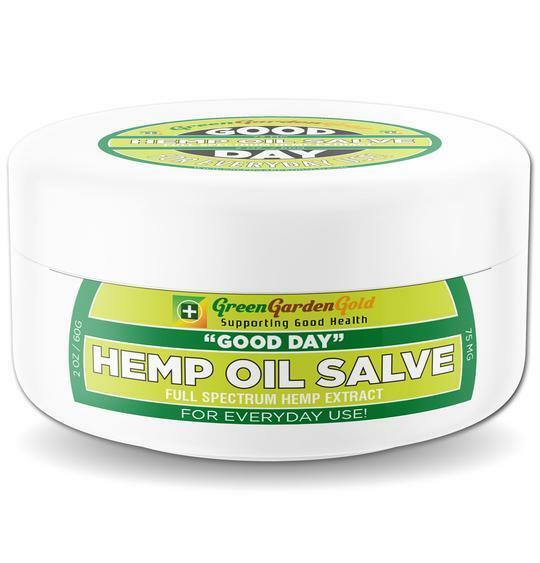 Highlights: Very slippery & thick, Good Day Hemp Oil Salve from Green Garden Gold is great for coconut oil fans. Strength: 75mg full spectrum hemp/CBD extract per 2 oz jar. Customer Service & Shipping: Fast customer service. Standard shipping is available for $4. 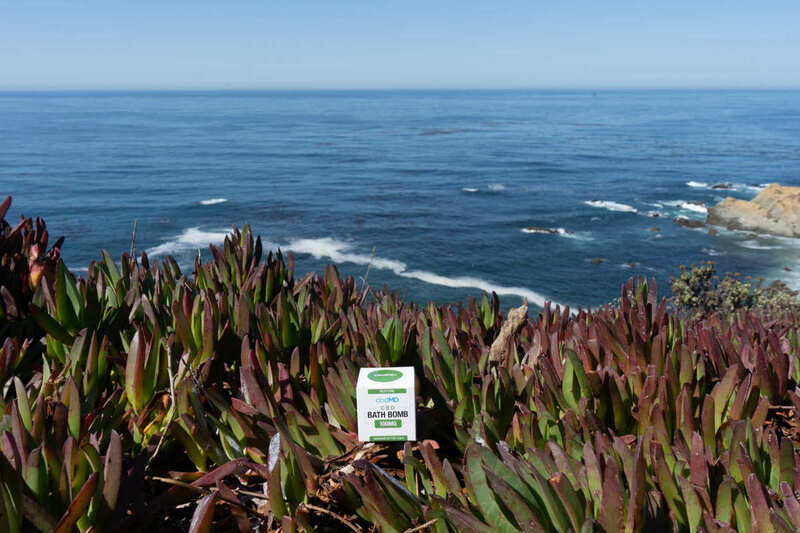 Texture & Smell: Good Day Hemp Oil Salve has a thick, oily texture that’s close to raw coconut oil. This CBD topical smells strongly of coconut with vanilla undertones. This salve is perfect for people who prefer a thicker CBD topical, including anyone that’s already using coconut oil for massage or skin care. Green Garden Gold is a Texas-based company. Their products are made from organically-grown European industrial hemp. Highlights: Cold Therapy Hemp Rub goes to work fast cooling sore muscles thanks to the added menthol. Very light, non-greasy texture. Customer Service & Shipping: Fast customer service. Free standard shipping is available, with faster options available for an additional fee. Texture & Smell: This rub has a noticeable smell of menthol. Our review team appreciated the light, non-greasy texture of this Cold Therapy Rub. 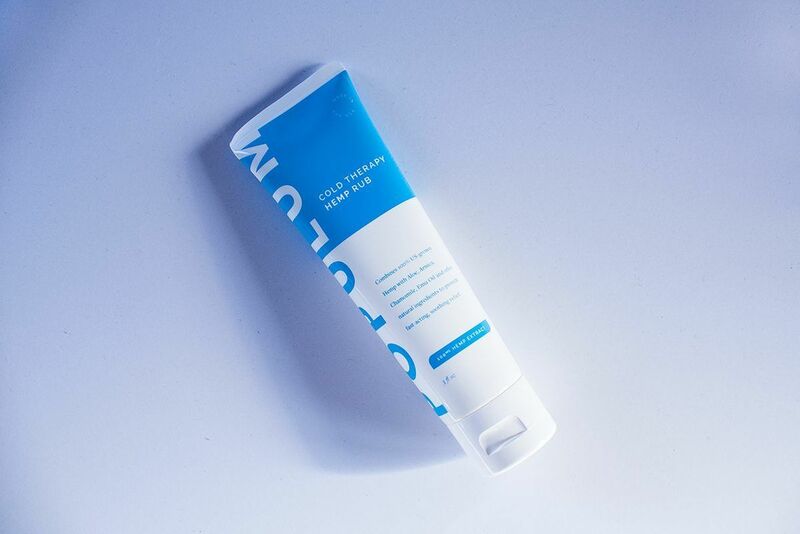 Populum’s offers fast, effective cooling. A discount is available if you subscribe to regular shipments of this product. Since it contains menthol, Cold Therapy Hemp Rub should be applied sparingly at first. Populum’s products are made from Colorado hemp. Some companies provided their products free or at a discount in return for our honest review. Thanks to Leif Hayman for his assistance.